Hoping to find a quality new vehicle to take on the Temple streets? You can save on your next Toyota purchase when you take advantage of our new vehicle specials available at Toyota of Killeen. You can find popular models like the new RAV4 or Avalon at competitive rates, so there’s sure to be a model that suits your budget. Visit us today in Killeen to take one of our new Toyota vehicles on a test drive! Our new vehicle specials aren’t the only advantage of choosing Toyota of Killeen. There are plenty of other ways to save at our dealership, from national offers and incentives to our college graduate program. Even after you drive home in a new Toyota, you can rely on our service center to take care of routine maintenance at affordable prices. 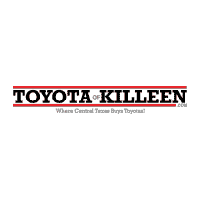 Ready to experience the Toyota of Killeen difference for yourself? Feel free to stop by our showroom, or contact us with any questions you have!